In the Topiary calendar March is somewhat of a quiet month. Box doesn't start growing until later in the year so this month is all about preparation for the growing season ahead. 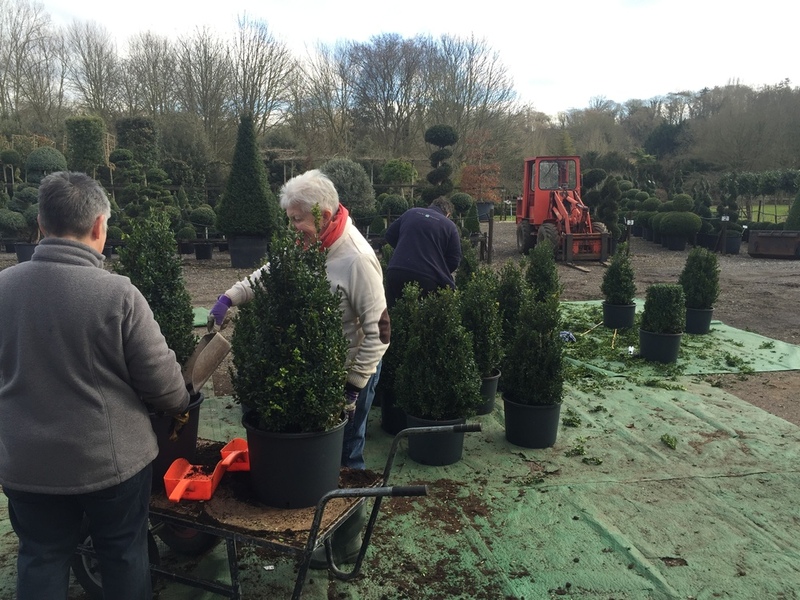 Over the last few years the weather (especially in the south of England) has been dry and quite warm and this has caught many people out, in particular those with topiary in pots and planters. Without water your topiary plants simply cannot thrive or survive and in turn, when it does eventually rain, dry pots don't collect the water, it simply runs off the top. So get into the habit of checking the weather, and if it is going to be dry, give them a drop! Make sure you have a good supply of plant food. You won't need it until later in the month so be prepared! We recommend Evergreen Plant Food. Whether you root trim or re-pot your plant you will need; a good quality compost, evergreen plant food and plenty of water. What are we doing in the nursery? This is the best month for pleaching trees as the sap is starting to rise helping the Topiarist bend each branch onto the bamboo frame without snapping. It is getting toward the end of the rootball season and we are getting in enough stock to see us through the summer months when plants can't be lifted from the ground. 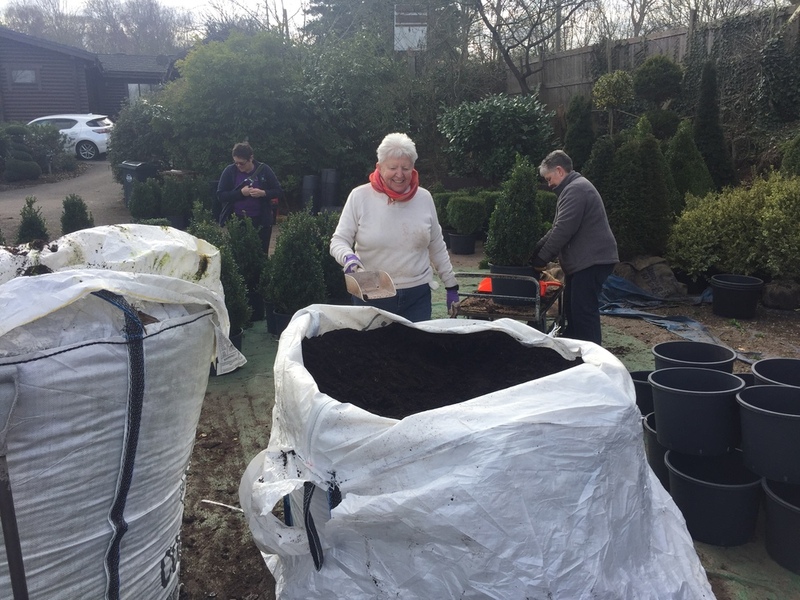 Yesterday, we were putting Box pyramids and hedging plants into containers using a good quality compost and Rootgrow for strong future growth.